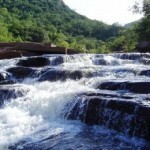 Type of Terrain: Scenic, Rocky Climbs, Steep gradients, River, 36 Obstacles. Distance: 4 Trails, 8.5 km in total. 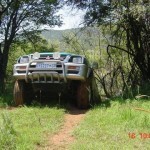 While 4×4 trails are not abound in the North West Province, it has its fair share of trails, mostly in the Zeerust, Brits, and Rustenburg areas. 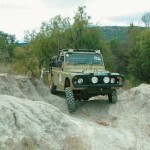 One particular 4×4 trail in the Brits area is widely known and feared in the off-road communities both local and further afield, as a “Terror Trail”, one of three such trails in South Africa. There are no official 4×4 trails in the western parts of the North West, but that is amply compensated for by the nature of the region: vast, open spaces and deserted gravel roads that give the term, North West Tourism for the Off-Road Traveller, its true and unadulterated meaning. This area boasts a range of 4×4 trails, some of which need up to 48 hours to complete, even if most of them are only about 14 kms long. These trails are particularly demanding, with extremely difficult rocky sections, deep ruts, gullies, dry but sometimes wet and muddy riverbeds, steep sand and gravel gradients, deep sand, and lots of deep, sticky mud after rain, which is when several recoveries may be required to complete the trail. Some of the trails in this area can be augmented by adding separate, but inter-connected circular trails to the main route; however, most of these trails have difficulty gradings of 4-5, and are thus not for inexperienced drivers with softroaders. Only experienced drivers with proper 4×4 vehicles with low range, diff locks, and having above average ground clearance should attempt these trails. 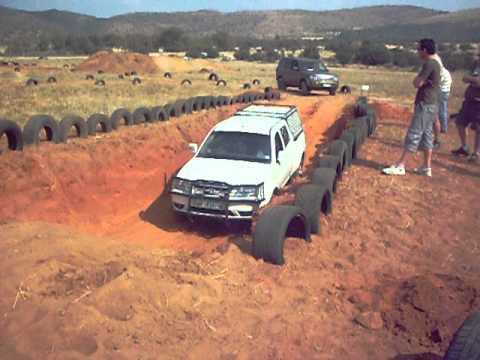 One of the most versatile 4×4 trails in the North West is offered by the De Wildt Game Park. Although the trail is in a rugged, mountainous area and only requires 2-3 hours to complete in dry conditions, this changes dramatically during and immediately after rain. The trail then becomes a long, deep mud pit, with extremely slippery conditions over otherwise easily negotiated smallish rocks, sand, stepped rock slabs, and shallow water crossings. The versatility of this trail lies in the fact that in dry conditions it has a grading of only 2 that is suitable even for inexperienced drivers with softroaders, while in wet conditions, it suddenly turns into a grade 5 monster that demands technical driving of the highest order, and strictly not with softroaders either. Nonetheless, this trail is accessible the year round, but inexperienced drivers should avoid it in wet conditions. 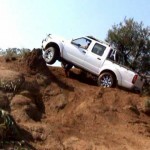 This area hosts the oldest 4×4 trail in South Africa, and it has survived for more than 20 years due to its rugged nature, its scenic attractions, and its close proximity to both Johannesburg and Pretoria. Here you will find ridiculously steep descents, axle twisting ascents, side slopes, mud holes, several water crossings that require you have recovery gear on hand, deep ruts and dongas, as well as deep sand that requires tyre deflation. No air is available for re-inflation, so bring a compressor, and remove running boards, since they could be damaged in some areas. Escape routes are provided around some of the more difficult obstacles. This trail has a grading of 2 – 4 and requires technical driving with low range, high ground clearance vehicles. 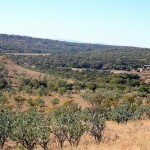 Further afield but still in the Brits area, at Moegatle, is a trail of a different nature altogether. It might appear easy to complete a 35 km trail in only 6-8 hours, but the reality is somewhat different. Everything on this trail is worse than on other trails: the sand is deeper, the rocks are bigger and more slippery, the mud seems to be stickier than anywhere else in the province, and the gradients are steeper, so much so in fact, that there is an escape route around one particular 470 rock climb, as there are escape routes around almost all of the more serious obstacles. The trail has a grade 2 rating if one uses the escape routes, but if one elects to do the obstacles, it becomes one of the previously mentioned “Terror Trails”, with a well-deserved grade 5 rating. Here are three trails that total only 12 kms, but collectively they can be a particularly difficult 12kms. One trail has a grade 3 rating and can take up to 8 hours to complete for a distance of only 5.3 kms over deep sand, mud, loose rocks, steep-ish gravel gradients, tight corners, and more mud after rain. This particular trail should only be attempted with a proper, low range 4×4. The other two trails are somewhat easier, and could conceivably be done by softroaders, but only in dry conditions. The gradings of these trails depend on weather conditions, i.e. grade 2 when dry, but depending on the amount of rain, grade 3 at a minimum. 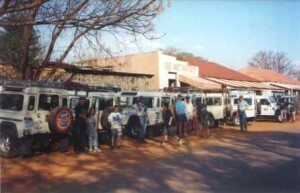 The North West Province may be somewhat lacking in tourist attractions and official 4×4 trails, but from the perspective of off-road touring however, it is unmatched for the ratio of unpaved- to paved roads relative to its total road network, with 21 158km of roads, of which more than 70% is unpaved, but even better from the off-road driving perspective, is the fact that by far that largest percentage of the unpaved network falls in the Great Unknown. The Great Unknown of course being that vast area in the far-western parts of the province that is Off-Road Touring Heaven because the roads there are not numbered, which means that very few people know about them, and even fewer travel on them. Many towns, or more accurately, settlements, in this area do not appear on any maps because they are deemed too small or insignificant for inclusion, but what there is plenty of, are horizon-to-horizon Kalahari views, and only uncharted dirt and gravel roads to get around on, except for two or three un-numbered gravel “main” roads leading to the Botswana border, taking in “towns” like Ganyesa, Crafthole, Voorspoed, Tosca, and Vorstershoop on the way. 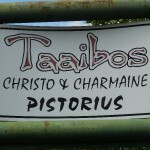 However, once off the “main road”, the intrepid off-road tourist will find an area that is largely uninhabited, as any map will show; however, this region is the richest beef production area in South Africa, which means there must be Places, even if they do not appear on maps. The trick is of course to find a Place, but no matter if you should you miss one, or several: there will be other Places to find. 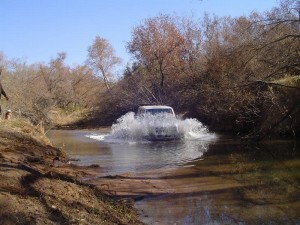 All you need is the inclination to explore a wilderness that has been called “The Texas of South Africa”, a proper 4×4 with enough fuel, low range, diff locks, good ground clearance, full recovery equipment kit, and lots of water, since water points are far apart, and mostly on private property. 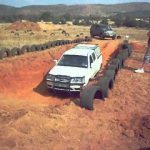 Although you may not find any picture-postcard towns here, you may get lucky and instead, find several Places nobody had ever heard of, which is of course the main objective of off-road tourism in the North West Province. Although many, if not most, gravel roads have good surfaces, even in the desolate western reaches of the North West Province, there are many with surfaces that resemble obstacle courses, which is what makes driving on gravel roads as much fun – and often as demanding as any off-road trail, but with the added advantage that using them is free. However, with few charted dirt roads, and maps that only show empty uninhabited space, using the roads less travelled in the Great Unknown could be a major challenge because of an almost complete lack of signposts and GPS coordinates, making it easy to get lost in this vast desert area since the back roads here are frequently closed without warning, and sometimes for no apparent reason. Exploring the Great Unknown requires above average navigation skills, as well as people in the main population centres who know which direction you are heading in, and just as important, when you could be expected back.